BlackRock Inc. is looking to raise more than $10 billion that it would use to buy and hold stakes in companies, replicating the approach of Warren Buffett’s Berkshire Hathaway Inc. It is the first-ever attempt by the world’s largest asset manager to make such direct investments, according to people familiar with the matter. The move establishes BlackRock as a potential competitor to Wall Street private-equity giants like Carlyle Group LP and Apollo Global Management LLC. 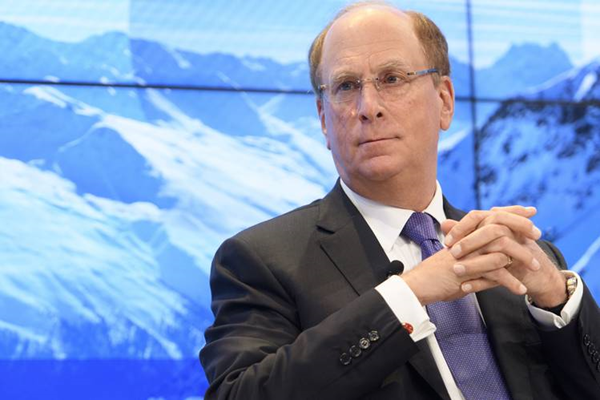 For BlackRock Chief Executive Laurence Fink, it also sets up a rivalry with his old firm, Blackstone Group LP. Mr. Fink co-founded BlackRock as a division of Blackstone in 1988 but split from the private-equity giant in 1994. BlackRock has since emerged as one of the biggest beneficiaries of an investor shift to cheaper funds that mimic stock and bond indexes, topping $6 trillion in assets for the first time in 2017. 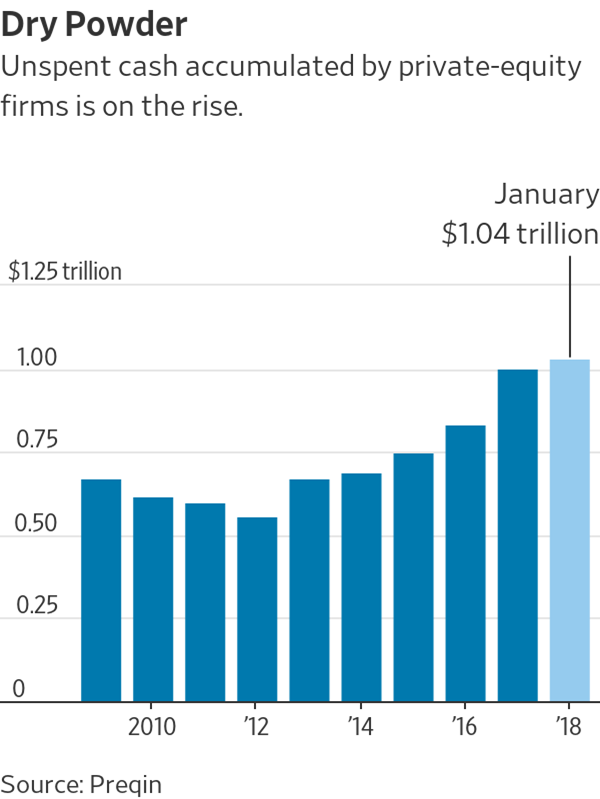 Traditional asset managers like BlackRock and private-equity firms like Blackstone are increasingly battling for cash from the same clients as fees for certain products drop and competition for new pools of capital intensifies. Big asset managers that have long catered to cost-conscious investors are trying to bulk up on products where they can charge big investors private equity-like fees. It is a way to add new revenue as clients large and small demand lower fees for traditional offerings. Private-equity firms, meanwhile, are offering more funds to wealthy retail investors to broaden their pool of assets. BlackRock’s new vehicle, known within the firm as a “long-term private capital” vehicle, is part of that push to emphasize alternative investments. The firm already manages $145 billion in higher-fee investment strategies that include private equity and hedge funds of funds, real assets and private credit. But it doesn’t have a buyout fund of its own. It is currently seeking capital from sovereign-wealth funds, pensions and other big investors that it would use to launch BlackRock Long-Term Private Capital, according to people familiar with the matter. If BlackRock can attract the roughly $10 billion it is seeking, it would represent the largest amount ever raised by the company. BlackRock is also contributing some of its own money to the effort. The company is raising money on the heels of a record year for private-equity fundraising. Private-equity firms raised a record $453 billion in 2017, according to data provider Preqin, but the amount unspent rose to more than $1 trillion for the first time ever. That pile of unspent money has raised concerns that the firms won’t be able to find enough investment opportunities or generate adequate returns. The “best known” example of BlackRock’s approach with this new vehicle is Berkshire Hathaway, according to a fundraising document reviewed by The Wall Street Journal. The Omaha conglomerate run by Mr. Buffett is well known for its long-term ownership of companies. The new vehicle plans to make investments of between $500 million and $2 billion in companies affected by what the document says are several “long-term themes” such as diverging demographics globally, a growing middle class in emerging markets and changing spending patterns by millennials. It is targeting annual returns in the low to mid teens. The vehicle will look for investments with risks and returns that straddle those of stock investments and what buyout funds typically seek, according to the document. It is planning to hold those positions for more than 10 years. BlackRock Long-Term Private Capital is likely to acquire minority stakes in companies, the people said. The investor document cites family-owned businesses, companies being spun out of parent firms, or companies where private-equity investors are seeking to exit their investment. The effort is being overseen internally by Mark Wiseman, who is viewed as a potential successor to Mr. Fink. Mr. Wiseman joined BlackRock in late 2016 as chairman of its alternative investing business and global head of active equities. Since joining, Mr. Wiseman has led an overhaul of the stock-picking business and revamped the firm’s global investment committee. BlackRock has also hired André Bourbonnais, the chief executive of Canada’s Public Sector Pension Investment Board, to lead the BlackRock Long-Term Private Capital effort. Prior to his current role, he spent nine years at the Canada Pension Plan Investment Board working with Mr. Wiseman, who previously was the organization’s chief. Unlike many private-equity funds, the BlackRock vehicle will take its investors’ full commitment upfront, instead of drawing it down over time, and will reinvest proceeds as it exits investments. It aims to avoid a cash drag that some private-equity funds suffer from as they shop for opportunity or return cash to investors at the end of their lifespan. Executives envision a secondary market developing for units in the vehicle when investors want their money back, the people said. BlackRock will receive a management fee that covers its expenses and a certain profit margin and a performance fee. It aims to close the fundraising by the second quarter with four to six large investors that will also have the right to invest additional money in certain deals.